Well, look what we have here. Joining the likes of Boson, Glest, and TA:Spring/TA3D is another Free 3D RTS game: ORTS. The interesting thing about ORTS is the motivation - the AI. ORTS is a programming environment for studying real-time AI problems such as pathfinding, dealing with imperfect information, scheduling, and planning in the domain of RTS games. 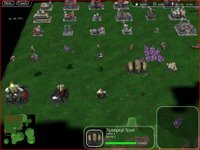 <snip> ...the current state of RTS game AI is bleak which is mainly caused by the lack of planning and learning - areas in which humans are currently much better than machines. 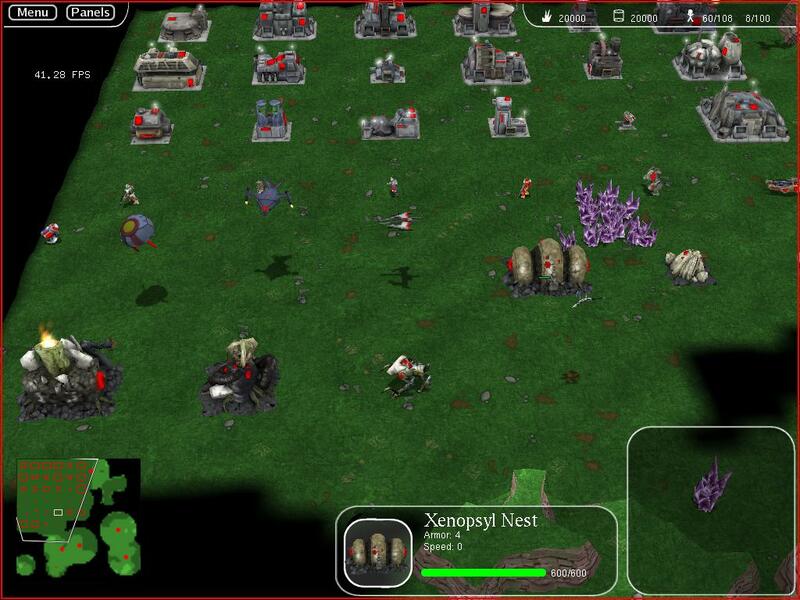 <snip> ... the ORTS project [is] a free software system that lets people and machines play fair RTS games. <snip> Users can connect whatever client software they like. This is made possible by a server/client architecture in which only the currently visible parts of the game state are sent to the players. This openness leads to new and interesting possibilities ranging from on-line tournaments of autonomous AI players to gauge their playing strength to hybrid systems in which human players use sophisticated GUIs which allow them to delegate tasks to AI helper modules of increasing performance. The game is not yet released as a download although you can grab a daily snapshot and build it yourself. Is it going to be released any time soon? We have a working platform-independent server/client RTS [3D] game engine... We are working on a standard ORTS game... By autumn 2006 we hope to have a working system which is interesting for both RTS players and AI researchers. This is definitely one worth watching out for. AI agents are already publicly available. It could be a game that's tougher and less predictable than usual. Most games challenge me but I'm, er, challenged. What I do like about it is that the AI won't cheat. There's nothing that pisses me off more about a game than lazy developers giving the AI daft advantages because they were too inept [or short on time] to come up a decent AI. I like to be beaten because something has been clever, not because it can unfairly see all my units or build things for half the cost! This is very exciting, AI has been languishing in almost all commercial games, as it's the eye-candy glitz that sells. I hope that things go well for them. And as an aside, another set of props for what you're doing here, you've given me a heads-up to a bunch of good games -that I can *actually* play! Keep up the good work. Glad to be of service. I guess I owe you and the other visitors thanks for the $16 I've earnt in adsense revenue since I started this baby in March. I can almost afford 1 of a pair of trainers I've been saving for. Then I will escape! I will run! On one foot! Ha! HA HA! HAhaHAHAhahAHA! I just subscribed to your rss-feed, I hope you keep them reviews coming.